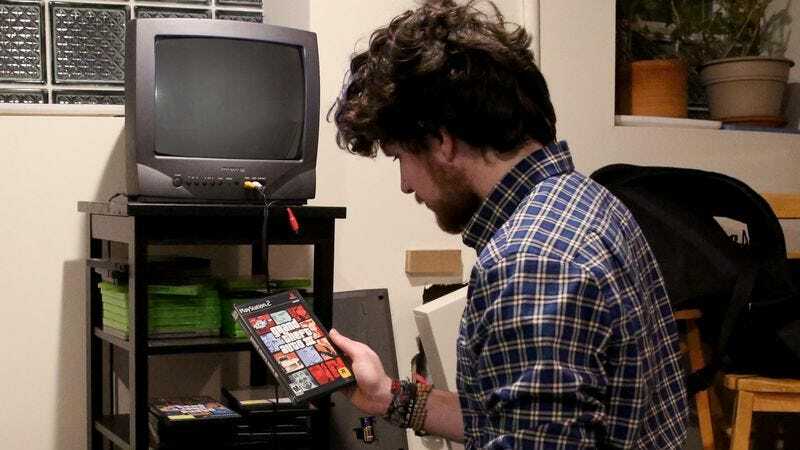 DUBLIN, CA—Describing the flood of childhood memories he had experienced upon arriving home Thursday afternoon, local 30-year-old Ryan Frost told reporters he was excited to spend the upcoming weekend catching up with some of his old video games from high school. “It’s going to be so great to see NBA Street Vol. 2, and of course Grand Theft Auto III—God, how long has it been, a decade?” said Frost, adding that he was thrilled to discover so many of his old games hadn’t gone anywhere and could still be found in or around his old PlayStation 2. “I can’t wait to sit down with Metal Gear Solid 2 and Need For Speed: Underground in my parents’ basement and just hang out all night. Gonna be just like old times.” At press time, Frost admitted that while it would be nice to spend a couple days revisiting his youth, it was unnerving to realize how comfortable his old games still seemed to be with sexism and racial stereotypes.